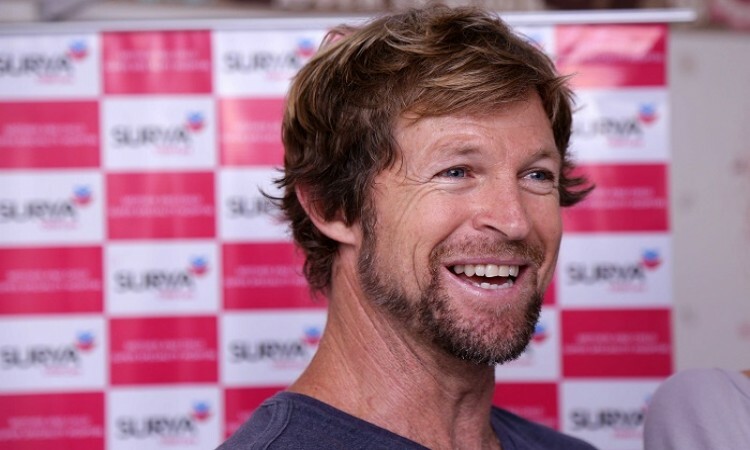 Chennai, Aug 7 (CRICKETNMORE): South Africa fielding great Jonty Rhodes on Tuesday confirmed his participation in the sixth edition of the annual Covelong Point Surf Music Yoga festival to be held at Kovalam from August 17-19. Recognised by the Surfing Federation of India, the Chennai based TT Group is the principal presenter for the Covelong Point Surfing championship. The premier surfing competition will see top men and women surfers from across the country vie for the top spots under seven categories in surfing. The surfing categories for the championship are Novice (U12); Groms (U16); Juniors (17-22 Years); Seniors (23-30 Years); Masters (31 years and above); Women (all ages); Open Category (Foreign Nationals). This year, the competition will also see participation from surfers from Bangladesh and Sri Lanka, after the Surfing Federation of India inked a historic agreement for an exchange programme with the Sri Lankan Surfing federation where surfers from both the countries would be participating in the official competitions across the coasts in both the countries. Over 100 surfers from Karnataka, Goa, Tamil Nadu, Odisha and Kerala alongside some of the top surfers from Sri Lanka, Australia, France & the US will be seen in action at the event. Local boys Sekar Pitchai, Ajeesh Ali will be the flag bearers for Tamil Nadu in the seniors and U16 category. The women's category is expected to witness a tight contest between Auroville's Suhasini Damian and Mangalorean Sinchana Gowda. "As a sport, surfing has seen tremendous growth over the last few years. The number of youngsters coming forward to take up surfing is just overwhelming to see," Surfing Federation of India vice president Ram Mohan Paranjpe said. "We are trying to be a respectable surfing contingent in South East Asia in the next five years or so and we plan to enter into more exchange programmes with Asian countries and give more exposure to our junior surfers in the coming years. "This year we also have entered into an agreement with the Sri Lanka Surfing Federation to invite surfers from both the countries to participate in the competitions. I am very confident of an extremely competitive field this year as well at the Covelong Point Surf, Music and Yoga Festival 2018," he added.